"Rose, who is also value at [3.65] for a top five finish at East Lake, reckons himself that he’s ready to emulate Rory McIlroy’s big win a year ago. “I’m trending at the right time,” he says." As a summary of a season it doesn't sound all that great: Failed to make the cut at both the US Open and the USPGA, tied 54th in The Open, not in the top eight in any of the stats charts, and 136th for driving accuracy. If anybody suggested that as the background of man with a realistic chance of winning the richest prize in golf, you'd laugh your socks off. But that, I suppose, is the beauty of sport. What went before doesn't matter nearly as much as what is happening now. 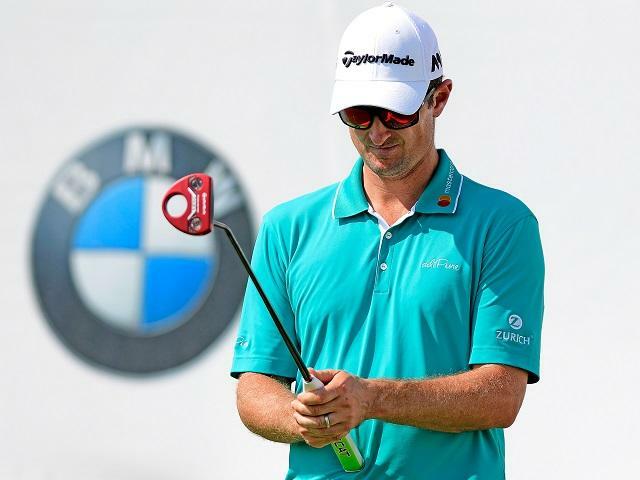 In this case it's exactly why a relaxed looking Justin Rose is flying the English flag as the chase for the FedEx Cup and it's $10million dollar bonus prize moves into the final instalment this weekend. Rose's year so far has been defined by his magnificent reaction to losing that epic last day battle with Sergio Garcia at Augusta back in April. So close to the Green Jacket, and yet so far away, but the genuine warmth with which he congratulated Garcia was simply inspirational. Nobody can know exactly what then caused his form to slump. Was it actually a reaction to the huge disappointment of not winning the Masters when he had the title in his hands? Whatever the cause it took months to regain anything like the form that saw him win Olympic Gold a year ago. But with perfect timing he's come good for the four-tournament contest that brings the PGA Tour season to its lucrative finale. Tenth place finishes in the first two events were followed by being runner-up in last week's BMW Championship. So Rose heads for this week's Tour Championship in eighth place in the FedEx standings and while he needs a couple of the other leaders to have a poor week for him to finish in the top five and so scoop the bonus for winning at the East Lake Golf Club in Atlanta, it's a realistic ambition. Rose is [15.5] to be the Tour Championship winner and looks absolutely in the right frame of mind to chase that goal. The picture of him signing autographs, with his five-year-old daughter Charlotte alongside him wearing a 'Daddy is my hero' tee-shirt, neatly sums up how he seems to have finally got over any lasting angst from that Masters near miss. Rose has even been experimenting with different putters during the FedEx Cup run, switching between an Axis 1 Tour prototype and two different TaylorMade clubs. It's clearly worked for him because his putting at the BMW was excellent, helping him put together four consistent rounds that saw him end up at minus 18 for the week. That would be enough to win most tournaments, but unfortunately for him Marc Leishman had a freakish week to be five shots ahead. My bet on Paul Casey is still just about alive, but Jordan Spieth is not surprisingly favourite for both the Tour Championship and the FedEx Cup, a double he completed in 2015. But Rose, who is also value at [3.65] for a top five finish at East Lake, reckons himself that he's ready to emulate Rory McIlroy's big win a year ago. "I'm trending at the right time," he says. And if he's right he'll make a nonsense of all that lack of form that went before. The Punter's In-Play Blog: Casey leads but is he a good thing to convert?